Painted white wooden door with two vertical panels and two horizontal panels. 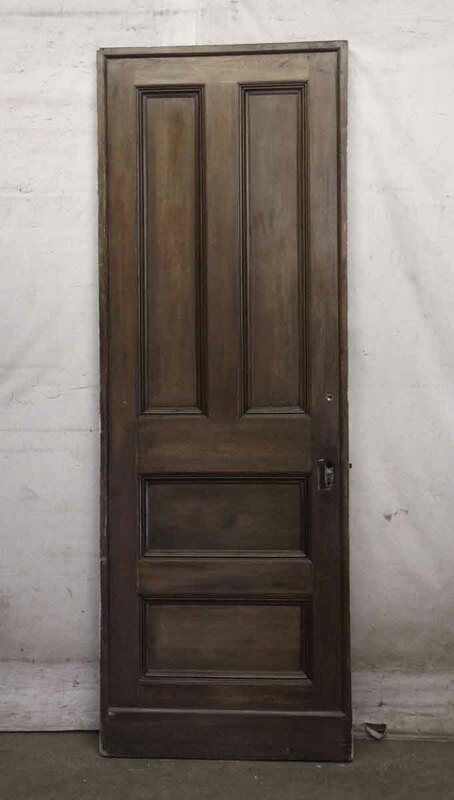 The door is a dark wood tone on the opposite side. Priced each.